It is decent.submitted by Ryan O. - Nov 30, 2018 |Recommended: YesIt is a great off campus option because the buses are convenient and everyone is fun to be around. 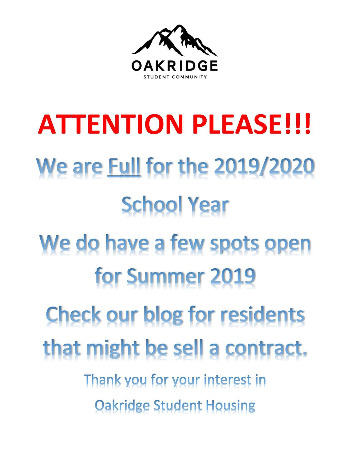 Lot of flawssubmitted by Casey T. - Nov 30, 2018 |Recommended: NoIf you get to oakridge past 10pm, sometimes you can’t find a single open parking space in the entire property. The staff is very lazy, it took them over 2 hours to fix a shower faucet, and when our window was pouring water in when it rained, they sloppily put glue over the big crack in the drywall. Oven and dishwasher don’t work properly, and are way too old to still be in the apartment. There’s often multiple laundry machines that are broken at any given time, usually without a sign on them. The pool closed very early in the warm season to “close for winter”. Emails from management are poorly written and have the very immature attitude of a 16 year old, and threaten to fine residents over every little thing possible. There are cleaning checks 3 times as often as an on-campus dorm, which is very uncommon for off-campus apartments. Would never live here again.submitted by Andrew J. - Aug 10, 2018 |Recommended: NoThe rules and regulations of living here are unreasonable. The irrigation system is in poor condition and does a better job at irrigating the cars in the parking lot than the grass. The cleanliness policy is ridiculous considering the state of the apartment when we moved in vacuum cleaner in disrepair, full bag, choked with hair. Mentos in the corner of the living room, hair clips and pins under the tv cabinet, grease on the oven hood . Despite the delivered white glove inspection packet mentioning that there would be no pre-clean check, a team of 4 insisted on barging into our apartment to check the cleanliness a week before move-out. It is clean and social.submitted by Kaitlyn T. - May 09, 2018 |Recommended: YesIt is great. The atmosphere is fun and the private rooms are a huge plus. Affordable Student Housingsubmitted by Ashley H. - Apr 30, 2018 |Recommended: YesI liked living here.  Oakridge Reviewsubmitted by Kaylisha G. - Apr 28, 2018 |Recommended: YesOakridge is a great place to live. It's very convenient and not too expensive. Old, smelly but otherwise goodsubmitted by Mikayla L. - Apr 26, 2018 |Recommended: YesYou definitely need febreeze, candles, fans or something to mute that constant smell. Parking at night is a joke, if you won't be back before 9 I wouldn't recommend leaving. Really great staff and the apartments are nice however overpriced. Great student housing.submitted by Christopher K. - Apr 05, 2018 |Recommended: YesIt is a great place to live while going to college. Overpriced for what you getsubmitted by Stephen H. - Apr 04, 2018 |Recommended: NoGenerally well maintained with a few problems. Parking is a large issue. If you come home after 11, you often have to park elsewhere. Kitchen is small and old. Pool and hot tub area is good, but the pool seems to be closed most of the year. Furniture is pretty good, but most of the beds are terrible.